Saturday is election day, the day we select a new justice for the Louisiana Supreme Court from the 4th Supreme Court District. There are two candidates in the race and I wanted to let you know why I and my family are voting for Jimmy Faircloth. I've known Jimmy since we attended Pineville High School together. Jimmy's a little older than me and was quite the "big man on campus" - quarterback, pitcher, all around athlete and a very popular guy. Yet none of that went to his head. He was a friend to everyone and even befriended a younger, insecure band-geek who was new to the community. I'll always appreciate that. After graduation Jimmy went to Louisiana Tech up in Ruston and then followed his high-school sweetheart, Kelly, to Georgia State University where he received his law degree and then he got his Masters of Law at Emery University School of Law. With such a high level of training, Jimmy could have easily accepted a job at any of the many high-powered law firms that recruited him from major cities, but his heart was in Pineville and he and Kelly returned to put down their roots and raise their family here. My next encounters with Jimmy were in his role as City Attorney for Pineville, a position he held on two different occasions. There I witnessed Jimmy's expertise in the law in a whole new light. I found him to be incredibly articulate and knowledgeable about matters of municipal law, on top of his broad legal practice that covered many areas of law. Jimmy loves to read and we swapped book recommendations. 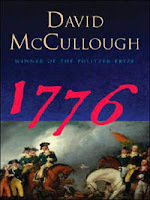 I still treasure the copy of 1776 by David McCullough that he gave me and insisted I read. Jimmy is always reading, always stretching, always growing intellectually. He's the kind of guy who reads the Federalist Papers to remind himself of the intent of the framers of the Constitution. His insights into the way politics works, as the "best outcome of opposing forces", have challenged many religious leaders to step into the fray and not let the non-faith voices have a monopoly on matters of public policy. He was a strong finalist for a US Federal judgeship and was Governor Bobby's Jindal's first choice for his Executive Counsel. Beyond all these things, I've found Jimmy to be a man of exceptional integrity and deep faith. There have been times when something other than the truth would have served his cause or his client's cause but he refused to do so, even if it cost him something. And when faced with life-changing decisions, he always seeks the Lord for guidance. I've been privileged to have him call me to meet him somewhere to pray with him on several occasions as he sought God's will for his life. There are many, many more reasons why I believe Jimmy should be our next Supreme Court justice, reasons that speak to his exceptional education and accomplishments in the practice of law, his community ties, his family values, his investment into the lives of young people through years of volunteerism, his unquestioned integrity, etc. But ultimately I'm voting for Jimmy because I believe in him and I believe in the depths of my heart that he is the right man for the job. I urge every one of you to pray about who to vote for in this election. And act on that. Please vote - no matter what, please vote. I just wanted you to know who I am voting for. Whew, what a day!!! Joel and I just got back to the hotel from a wonderful day of ministry at Day 2. Over 400 pastors and leaders attended the conference, representing more than 60 churches from the southern part of Mexico. What an honor to have their trust to come to Agua Viva and receive leadership training. I thank God for the relationships and connections He's brought to us. I want to share a couple of stories with you. Recently I shared a message at Christian Challenge about the persecuted church in Nepal, Pakistan and other parts of the world. But the persecution is also much closer to home than many of us realize. Many pastors in Latin America have received death threats from the narco-traffickers and some have been kidnapped or murdered. The couple pictured at the right received death threats this week and his uncle (who is also a pastor) was kidnapped and is being held for ransom. Please pray for Manuel and Susana as they walk through this difficult time. Even though they have received death threats, they are not backing down from preaching the gospel. The dear sister at the left, standing with the conference organizer, Mario Tagle, was co-pastor with her husband for many years. He attended the first leadership conference that Joel taught at back in March but he passed away two days ago. Yesterday she buried her husband and today she came to the leadership training. Mario led us in prayer for her and their church. I admire her service and dedication. We had over 400 leaders from 60+ churches at the conference (the numbers are still being finalized). It amazes and humbles me that Joel and I could be used of the Lord to touch so many lives down here. Something so small that began in 1988 has now flourished into not only several Agua Viva churches, but the ability to influence hundreds of leaders in so many churches. 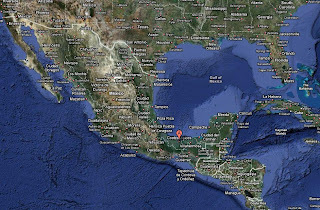 It's truly an honor to be a part of this, extending the Kingdom of God in southern Mexico by joining hands. I've uploaded some pictures to my Flickr account that tell the story, perhaps a little better than these words. Check it out here. Tomorrow's our final day. 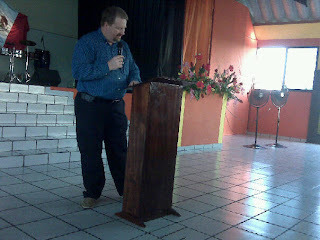 Joel will preach in the morning service at Agua Viva then we'll head for the airport after lunch. We'll arrive in Dallas tomorrow night and then home on Monday. Thanks again for your prayers and support. I'm a blessed man to have you in my life. 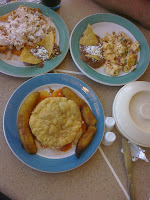 It's pretty late but I wanted to put out a quick blog entry. Joel and I arrived safely in Coatzacoalcos a little after 8:00 this evening after leaving Louisiana on flights around 7:00AM this morning. So it's been a long day of travel, but we're glad to be here. It hasn't been without some difficulty. I overslept this morning, sleeping right through my radio alarm clock and finally woke up about 20 minutes after I had planned to leave. Needless to say there was a lot of rushing going on - I'm so glad Lori packed my stuff the night before. However, just as we were about to get to the airport, I realized I had left my passport at home! I hurriedly called Faith and Hope at home and asked them to get the passport from the safe and head towards the airport. Lori dropped me off and headed to meet them about half-way. She got it back to me JUST IN TIME for me to board. Praise the Lord! We had a nice layover in Dallas - Joel and I got to visit and fine-tune our plans for the different sessions we would be teaching. However, as our flight was getting into Mexico City, I put my conference notebook in the pocket of the seat in front of me when the plane was about to land. AND I FORGOT IT THERE! I didn't realize I had left it until I got to immigration and had to pull out my laptop, and noticed it wasn't in my bag. So I'm sharing Joel's copy of the teachers' materials until we can get another copy printed out. In spite of those little snafus things are going very well! 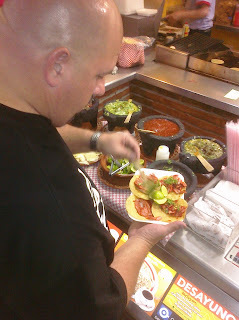 We got to eat tacos in Mexico City and some more authentic Mexican food at one of our favorite street-side cafes once we got to Coatza. And we've been informed that they're now expecting over 400 pastors and leaders at the conference, which begins tomorrow. Praise the Lord. Well, I'm about to turn in. Just wanted to give you a quick update. Hopefully I'll be able to keep updating the blog each day. Thanks for your prayers and support!